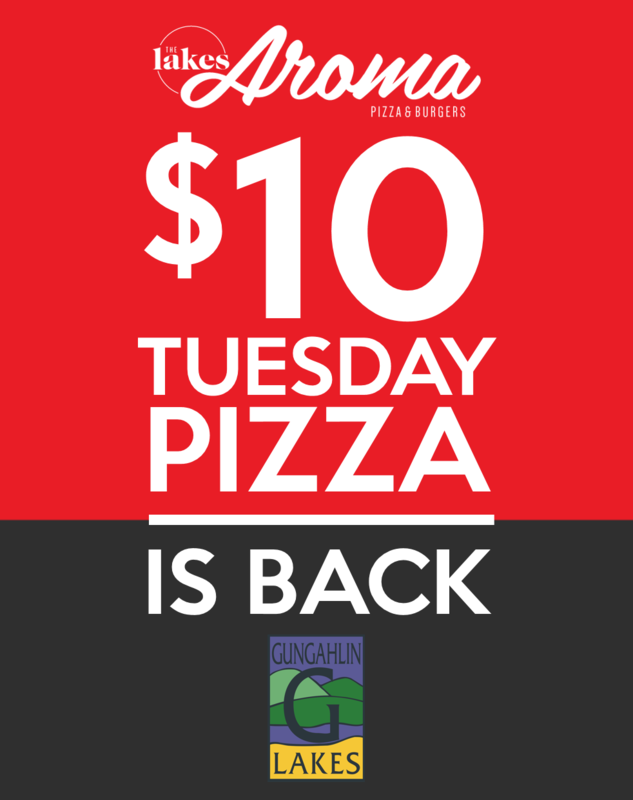 $10 TUESDAY PIZZA IS BACK BY POPULAR DEMAND! Head to Aroma Pizza & Burgers at Gungahlin Lakes every Tuesday and treat yourself to a delicious pizza for only $10! PLEASE NOTE: From Tuesday 18th December 2018 this deal is available for eat-in only. Tandoori marinated chicken, baby spinach, onion, semi dried tomatoes & mozzarella cheese. Check out our $15 Lunch Menu for even more weekday value! Make sure you like Gungahlin Lakes Club on Facebook & follow @thelakesgungahlin on Instagram to stay up to date!